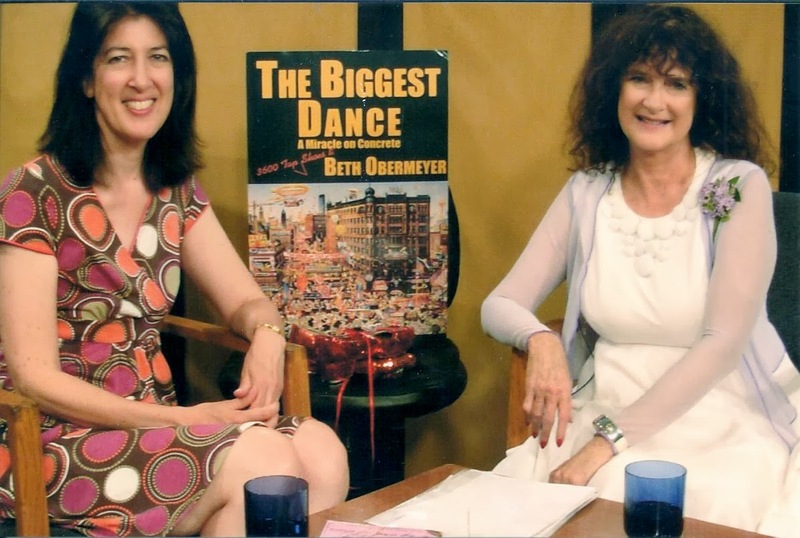 A ½-hour tap and author TV web and video: Amy Okaya, host and Beth Obemeyer, author, talk about The Days of Song and Lilacs, North Star Press, her book about growing up in the 1940’s-‘50’s in Mason City, Iowa, down the street from Meredith Willson who is composing his The Music Man for Broadway. Beth and Meredith have the same accompanist, Mabel Kelso, and when she has a stroke—does the music die? Minstrelsy, divorce, other issues of the time. 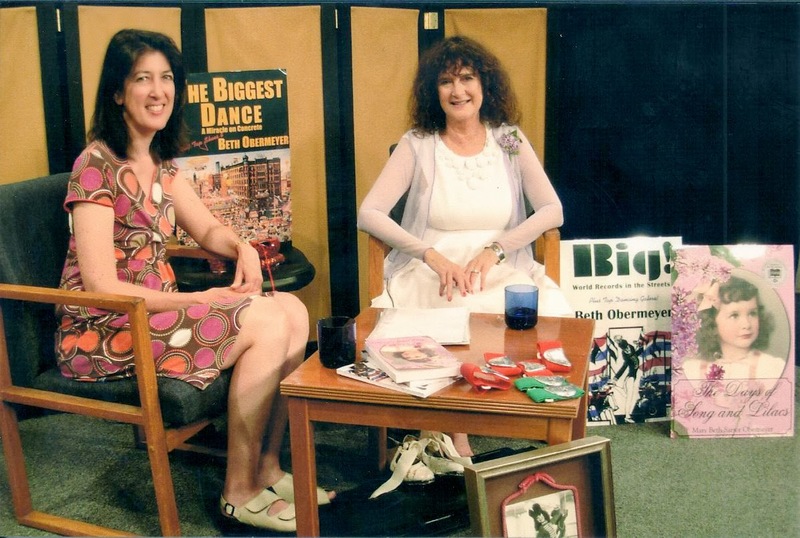 A ½-hour author TV web and video: Amy Okaya, host and Beth Obermeyer, author, talk about tap dancing—the art form—and the big event—the 1,801 tap dancers who opened the Hennepin Center for the Arts, into the Guinness Book of World Records, October 15, 1979, from her book The Biggest Dance; A Miracle on Concrete, North Star Press. Also, from Beth’s book Big!—the World’s Largest Marching Band; solos with Gregory Hines, Christopher Plummer and Garrison Keillor. YouTube overhead footage of the 1,801 tap dancers, KSTP-TV; tap steps demonstrated by Beth.